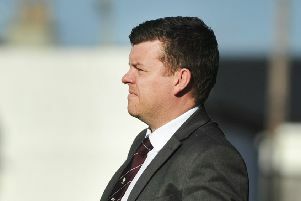 Linlithgow Rose will play Clyde and a Hearts XI at Prestonfield. Linlithgow Rose's friendly with Hearts to formally open the new Prestonfield floodlights will take place next Wednesday. 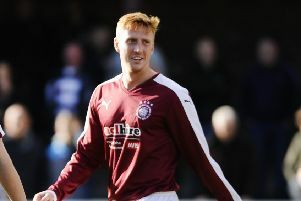 The match was orginally due to be played last month but then had to be shelved because it clashed with a rearranged Hearts Premiership fixture. However the game, with a Hearts XI likely to feature a mix of fringe players and youngsters, will now take place next Wednesday, November 28. Kick-off will be 7.30pm and to save queues at the gate, entry will be a flat rate £5 for all spectators. Hearts will become the SIXTH senior side to play at Prestonfield this season. City rivals Hibernian were there for a pre-season friendly and Livingston played two Betfred Cup ties at the ground - against Annan Athletic and Berwick Rangers - while waiting for a new pitch to be installed at the Tony Macaroni Stadium. And Danny Lennon's League Two outfit Clyde will visit for a friendly this Saturday with both sides having a free day due to their exits from the William Hill Scottish Cup. Kick-off for this one will be 2.30pm and admission will be £6 for adults and £3 concessions.